In the fifteenth century, the princess Chokyi Dronma was told by the leading spiritual masters of her time that she was the embodiment of the ancient Indian tantric deity Vajravarahi, known in Tibetan as Dorje Phagmo, the Thunderbolt Female Pig. After suffering a great personal tragedy, Chokyi Dronma renounced her royal status to become a nun, and, in turn, the tantric consort of three outstanding religious masters of her era. After her death, Chokyi Dronma's masters and disciples recognized a young girl as her reincarnation, the first in a long, powerful, and influential female lineage. Today, the twelfth Samding Dorje Phagmo leads the Samding monastery and is a high government cadre in the Tibet Autonomous Region. Hildegard Diemberger builds her book around the translation of the first biography of Chokyi Dronma recorded by her disciples in the wake of her death. The account reveals an extraordinary phenomenon: although it had been believed that women in Tibet were not allowed to obtain full ordination equivalent to monks, Chokyi Dronma not only persuaded one of the highest spiritual teachers of her era to give her full ordination but also established orders for other women practitioners and became so revered that she was officially recognized as one of two principal spiritual heirs to her main master. 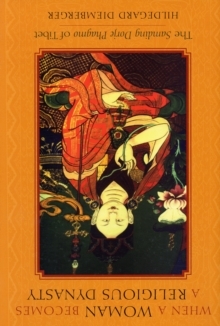 Diemberger offers a number of theoretical arguments about the importance of reincarnation in Tibetan society and religion, the role of biographies in establishing a lineage, the necessity for religious teachers to navigate complex networks of political and financial patronage, the cultural and social innovation linked to the revival of ancient Buddhist civilizations, and the role of women in Buddhism. Four introductory, stage-setting chapters precede the biography, and four concluding chapters discuss the establishment of the reincarnation lineage and the role of the current incarnation under the peculiarly contradictory communist system. Pages: 416 pages, 64 illus.